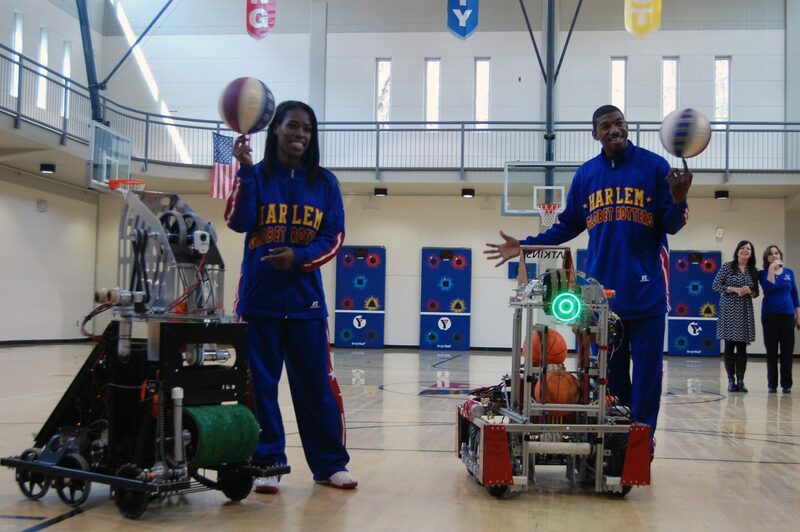 GANGSTAZ AND GLOBE TROTTERS — Fatima “TNT” Maddox and Buckets Blakes flash smiles and spin balls as they pose with Grady and a competing school’s hand-built robots. 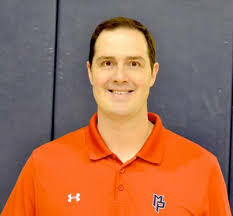 The Trotters met the students and coaches of the robotics teams and shot basketball hoops with the robots on March 13 at the Carl E. Sanders Family YMCA on Moores Mill Road. Photo by Diana Powers.